WINDERMERE, Florida, April 1, 2011. The Golf Blog says: Wow, we really can’t believe it! 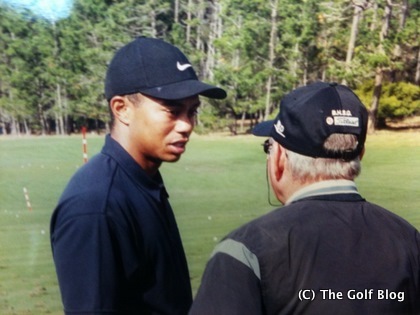 News out of the Tiger Woods camp is that Tiger has returned back to Butch Harmon, his swing coach under which he had the most success. This after spending less than a year with controversial new swing coach Sean Foley and six years with Hank Haney. So why would Tiger take this risk on the eve of the Masters? Is he that desperate with his swing? We also wonder what Phil Mickelson, Butch’s star pupil, had to say about this. Lefty probably thinks this all is a bad joke. But we’re ecstatic to hear that Tiger Woods finally has come to his senses! If anyone can pull off a revamp of a swing in a weekend before the Masters, it’s Tiger–and Butch!